RUN over and check out Vineyard Vines - Additional 30% Off Sale Styles with code ENJOY30 at checkout. 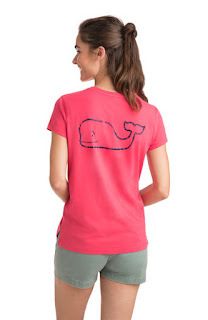 For example this Relaxed Vintage Whale Pocket Tee $24.49 (Retail $34.99). Sizes are selling out QUICKLY!